Trout fishing is has been good at Lake Chabot with this cool weather. Raccoon Point remains the go-to place and the first dock by the marina is a popular spot. Bass fishing is getting great and we have had some anglers report catching largemouth bass over 10 pounds! 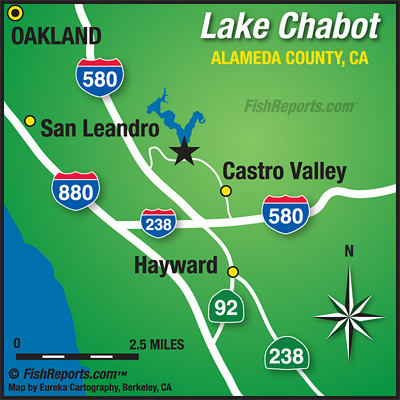 Unfortunately, we do not have any photos of them, but bass fishing is hot at Lake Chabot right now! Many anglers are using plastic worms or swim baits. There has been an abundance of smaller size bass (one or two pounds) being caught all over the lake along the shorelines. Senkos have been the most popular bait to use.